Chinese authorities are threatening all Uyghur students studying outside of China to return, threatening their families if they do not come back. The local provincial government in Xinjiang is supposedly behind the order, which has left some students missing, Radio Free Asia reports. Students are reportedly afraid of returning, but they are also worried about what may happen if they do go back. Some have sought refuge in Turkey, but have been turned away. One student studying in Egypt told Radio Free Asia that some of their friends have vanished after returning back to Xinjiang. "It seems that everyone who went home from Egypt has simply vanished," the source said. "We haven't been able to contact any of them." 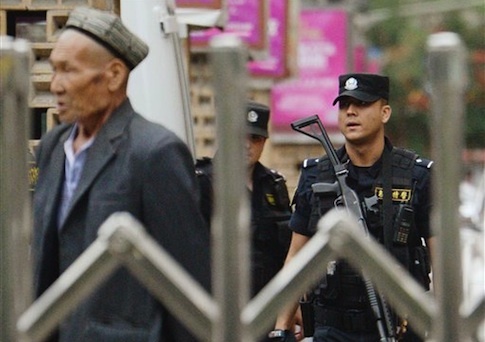 Many have been jailed upon returning to Xinjiang. Others are saying they will not leave for Xinjiang until they are finished with their school term. A police officer in the region who was asked about the order said that it came from "the top." "From what I understand, the goal of this policy is to identify their political and ideological stance, and then educate them about our country's laws and current developments," the officer said. "We have a directive from the top." Uyghurs are a Turkic ethnic group native to Central and Eastern Asia. They primarily live in the province of Xinjiang in northwest China and practice Islam. Uyghurs have been persecuted for years by the Chinese government, which views much of their activities as a threat to Beijing's rule. This entry was posted in Issues and tagged China, Egypt, Human Rights. Bookmark the permalink.